God moves when everything else says "it's impossible". Sometimes we can find ourselves in 'impossible situations', situations where it would appear that, despite all our prayers and faith, there is no solution and not even a hope for a solution on the horizon to grasp at - but we keep the faith, praying and praising God in the storm. These are the times when the God of miracles steps in and shows His love for us. God rewards faith when we exercise it. "By faith the walls of Jericho fell, after the army had marched around them for seven days." God sometimes allows dark hours just before the dawn. This is what happened to the Israelites fleeing Egypt. Right before God moved, everything became worse. The Isrealites were in the middle of the Red Sea with Pharaoh on their heels. The people panicked and cried to God for help. In response God closed the sea on their enemy - but why did He wait so long? Why didn't God close the sea before Pharaoh came? Sometimes God allows the situation to turn critical in our minds, until we reach the point when we realize there is no hope unless God performs a miracle - and God receives ALL the glory! God is not necessarily moved by our circumstances - but He is moved by our faith and praise. 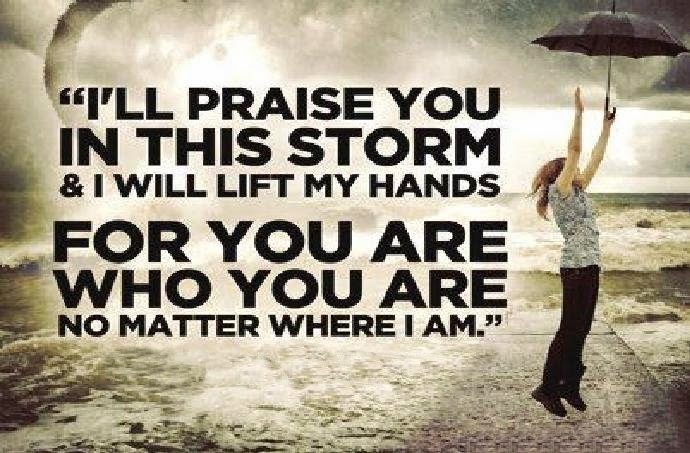 Praise Him in the Storm! ISIS or ISIL? There's a big difference! Global Prayer For Israel TODAY!